The Court of Appeals for the Federal Circuit’s (Federal Circuit) recent decision in In re Maatita clarifies the figure requirements for design patent practitioners to allow for the possibility of filing design patent applications with fewer views than many had previously thought necessary. As a result, practitioners can now use this precedential Federal Circuit decision to employ claiming strategies that do not fully disclose contours or depth to build in greater claim scope than would otherwise be possible if such detail were shown with specificity. U.S. design patents, in a similar fashion as U.S. utility patents, must meet certain enablement and definiteness requirements under 35 U.S.C. § 112, which requires that a U.S. design patent include a specification sufficiently describing the design so as to enable an average designer to make the design, and further include a claim with a scope that is clear with reasonable certainty. In its Maatita decision, issued on August 20, 2018, the Federal Circuit delivered an important opinion that overturned a Patent Trial and Appeal Board (Board) decision upholding the rejection of a design application’s figures under 35 U.S.C. § 112, and in doing so, held that the Board had misapplied § 112. The design patent application at issue, application No. 29/404,677 (the ’677 application), includes two figures, each showing a plan view of a shoe sole and only differing in unclaimed design elements near the arch of the foot. During examination of the ’677 application, the figures were rejected for failing to satisfy the enablement and definiteness requirements of § 112, because the design applicant’s use of a single, two-dimensional plan view allegedly left the design open to multiple interpretations. The U.S. Patent & Trademark Office (the USPTO) argued throughout prosecution and appeal that a shoe sole is an article having three-dimensional properties, including depth and contour characteristics, and that failing to disclose these three-dimensional aspects left the design open to multiple interpretations, which are patentably distinct and, therefore, cannot be covered by a single design claim. In response, the design patent applicant, Ron Maatita (Maatita), argued that the absence of other views, which could have been included to show the depth or contour of the claimed elements, does not render the application indefinite or non-enabled. Rather, such omission affects the breadth of the claimed design. In other words, the single claim of the application could cover multiple, appropriate depth and contour choices without rendering the claim indefinite. 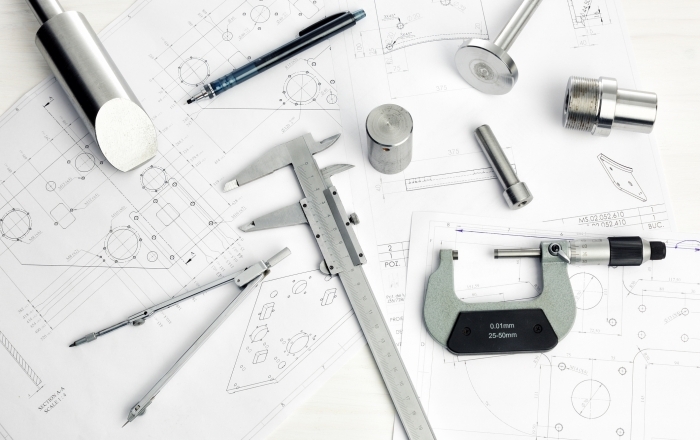 In its decision, the Federal Circuit noted that due to the fact that design patents are limited to what is shown in the application drawings, the bounds of the enablement and definiteness requirements rely primarily on the drawings. Further, the court noted that inadequacy of a visual disclosure typically arises when there are multiple, internally inconsistent drawings, or inconsistencies between the visual disclosure and the claim language. However, in the case of Maatita’s design, the issue was not whether there were inconsistencies in the drawings or inconsistencies between the drawings and the verbal description, but rather whether the scope of the claimed design was uncertain because of the limited representative figures chosen by Maatita. In undertaking its analysis, the Federal Circuit looked to a 2014 Supreme Court case, Nautilus, Inc. v. Biosig Instruments, Inc., in which the Supreme Court had emphasized that § 112 “require[s] that a patent’s claims, viewed in light of the specification and prosecution history, inform those skilled in the art about the scope of the invention with reasonable certainty.” 134 S. Ct at 2129. Although the issue in Nautilus was in the context of indefiniteness of utility patents, the Federal Circuit applied this ruling to the design claim at issue, and in doing so, determined that the design standard for indefiniteness is connected to the standard for design infringement, i.e., whether an ordinary observer, familiar with the prior art, would be deceived into thinking an accused design was the same as the patented design. See Egyptian Goddess, Inc. v. Swisa, Inc., 543 F.3d 665 (Fed. Cir. 2008) (en banc). Based on this principle, the Federal Circuit then determined that a design patent is indefinite under § 112 if one skilled in the art, viewing the design as an ordinary observer, would not understand the scope of the claimed design with reasonable certainty based on the visual disclosure. In the context of a single plan view, the court noted that the determination of whether the drawing adequately discloses the design is a function of whether the article, the sole of a shoe, is capable of being defined and understood by a two-dimensional, plan illustration. Under this standard, the Federal Circuit determined that Maatita’s decision to not disclose all possible depth choices would not preclude an ordinary observer from understanding the claimed design since the design is capable of being understood from the two-dimensional, plan perspective shown in the drawings. To that end, the Federal Circuit reversed the decision of the Board, noting that an ordinary observer could indeed make comparisons for infringement purposes and, for this reason, the claim of the ’677 patent meets the enablement and definiteness requirements of § 112. The Federal Circuit did note, however, that the depth of detail required by a disclosure of a design patent should be a function of whether the claimed design for an article is capable of being defined by the chosen representative figures. For instance, although the Federal Circuit held that Maatita’s design was enabled and definite, the same would not hold true for a design depicting an entire shoe or a teapot shown using a single, plan view. In this example, an entire shoe or teapot is inherently three-dimensional, and incapable of being adequately disclosed using a single, plan view. The Federal Circuit’s Maatita decision opens up possibilities for design patent applicants to file for broad claim coverage. In light of the decision, applicants may be able to selectively file figures with fewer views to depict the design without being limited to figures that illustrate non-essential aspects that would otherwise be shown in non-disclosed views. Further, applicants can now consider filing multi-embodiment design applications having an embodiment depicting a design with fewer views and an embodiment that fully discloses a design using additional views. Such applications can provide a patent holder with varying claim scope so that their designs can provide a breadth of protection while allowing for robust enforcement. However, understanding the intricacies of such claiming strategies is essential prior to the outset of preparation of any design application.